Botulinum toxin is a nerve paralyzing agent and can be injected into different areas of the face and body. Botulinum toxin has been used since 1980 to treat many muscle disorders such as lazy eye and uncontrolled blinking. It was pioneered by dermatologic surgeons for cosmetic use in 1987. Once the muscle is weakened and relaxed, it cannot contract. Since there is no way to make the undesirable facial expression, the lines gradually smooth out from disuse, and new creases are prevented from forming. Treatment involves injecting very small amounts of botulinum toxin directly into the underlying facial muscles to relax them. A tiny needle is used; the procedure is well tolerated and takes just a few minutes with no “down time” or prolonged recovery period. In Fitzwilliam Clinic this will only be administered by a qualified plastic surgeon. 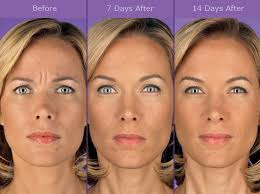 Botulinum toxin takes effect about 3 to 7 days after treatment. The improvement generally lasts about 3 to 4 months; the effect gradually fades as muscle action returns. Patients require re-injection at various intervals. With repeated treatments, atrophy (thinning) of the muscle may occur. This usually produces longer-lasting results. Hyperhidrosis (excessive sweating) can be treated with injections of a highly diluted form of botulinum toxin which is superficially injected directly into the underarm skin, skin on the palms of the hands, or on the soles of the feet. This weakens the action of the skin’s sweat glands which are responsible for excessive perspiration. A single treatment session can provide months of relief, and injections can be repeated when the excessive perspiration returns. Twitching muscles can also be treated by injecting botulinum toxin into the appropriate muscle.